Cleveland Clinic is searching for a Female Pelvic Medicine and Reconstructive Surgery (FPMRS) board certified or board-eligible urogynecologist to join our growing practice. The ideal candidate has completed or will be completing a board-approved fellowship in FPMRS and have skills in vaginal, laparoscopic and/or robotic-assisted surgery for pelvic organ prolapse. Clinical and academic responsibilities include supervision of FPMRS fellows, residents, and medical students. Interest in research, education, and leadership is highly desirable. Faculty appointment is available at the Cleveland Clinic Lerner College of Medicine. The Section of Urogynecology and Reconstructive Pelvic Surgery is world renown for surgical expertise, research, education, and innovation. It is part of the Obstetrics, Gynecology, and Women's Health Institute and provides services which include access to the latest techniques and diagnostics modalities, neuromodulation, minimally invasive surgery including robotics, conventional laparoscopy, vaginal surgery, and single port robotic surgery. For your career, this means more opportunities to grow at the frontlines of medicine and working with colleagues that consistently push beyond boundaries to achieve better outcomes for all patients around the globe. You will have the opportunity for mentorship and promotion into administrative leadership roles in the UroGynecology section. 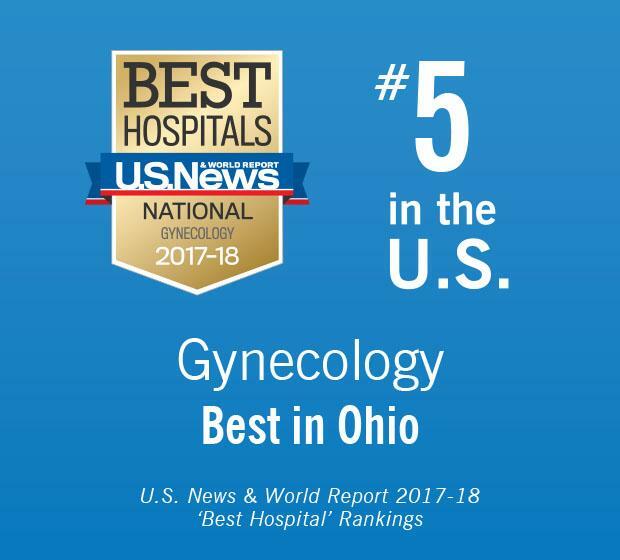 Cleveland Clinic's Ob/Gyn and Women's Health Institute is ranked no. 1 in Ohio and No. 5 in the nation according to U.S. News and World Report.